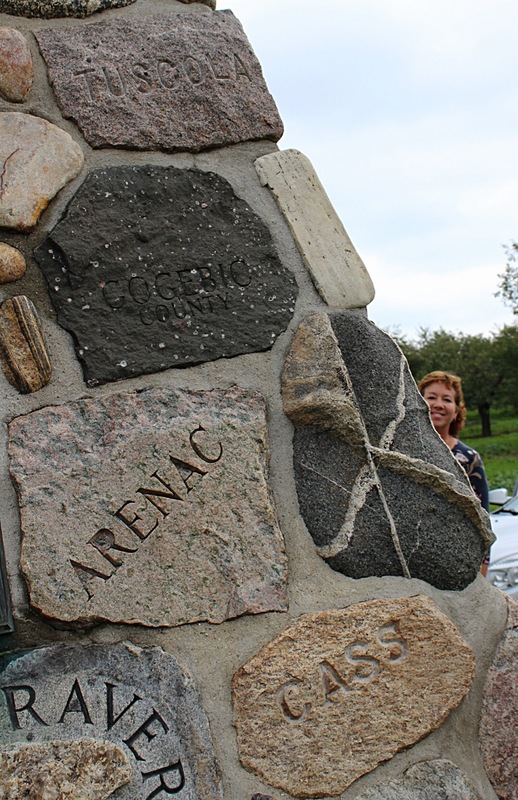 It’s not often a girl from Arizona is at the 45th Parallel, but when she is, she take pics! 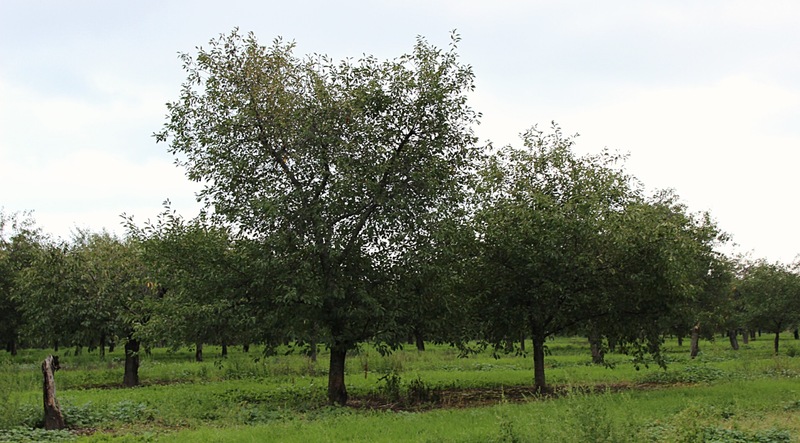 Recently I was in Michigan and we found out from the Apple Orchard, that we were visiting, that we were just a few short miles from the cairn, representing the 45th parallel. 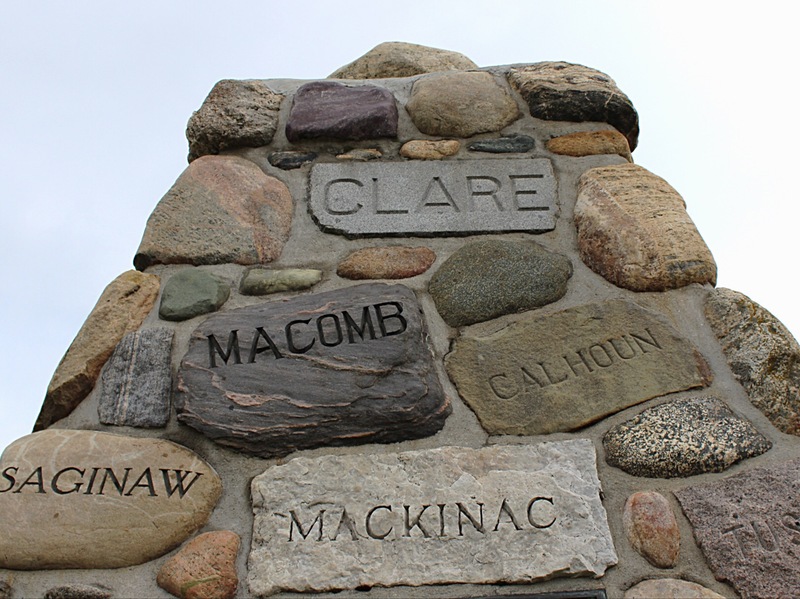 The cairn, or monument was covered in Michigan county names. 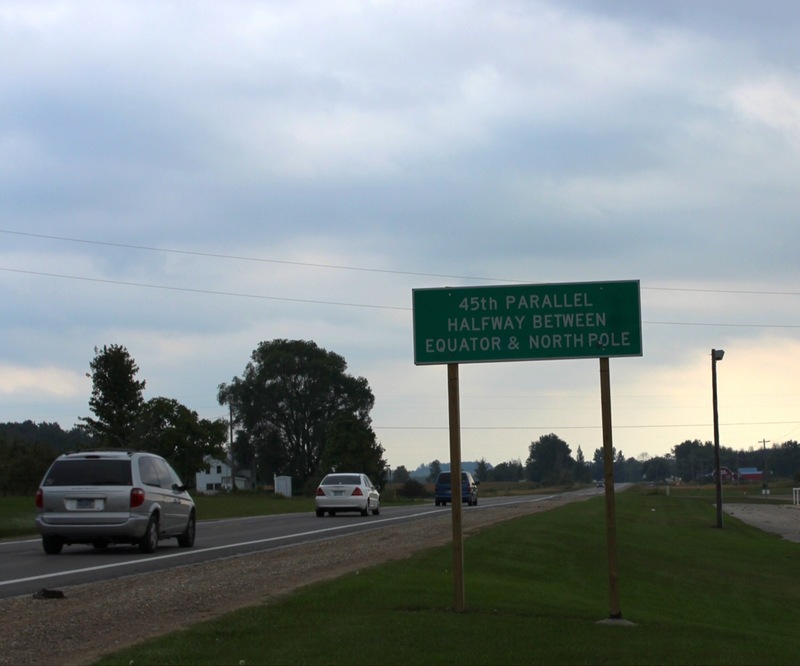 The 45th parallel north is a circle of latitude that is 45 degrees north of the Earth’s equatorial plane. 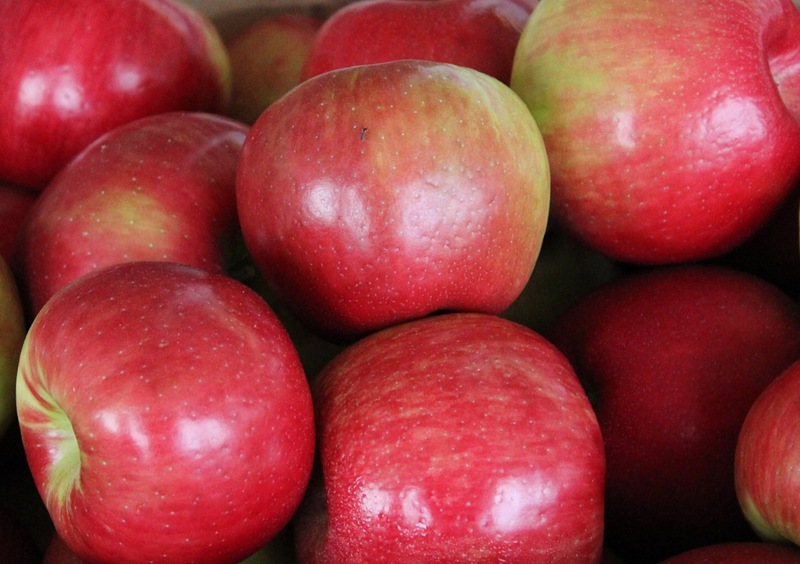 It crosses Europe, Asia, the Pacific Ocean, North America, and the Atlantic Ocean. 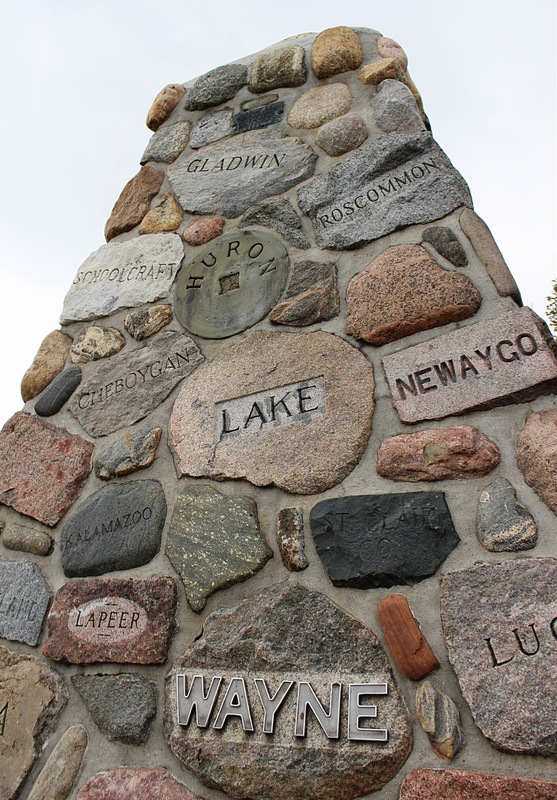 The 45th parallel north is often called the halfway point between the Equator and the North Pole, but the true halfway point is actually 16.2 kilometres (10.1 mi) north of the 45th parallel because the Earth is oblate, that is, it bulges at the equator and is flattened at the poles. Not much to look at here besides a little side road, my cousin peeking out from behind the monument and I believe an apple orchid. 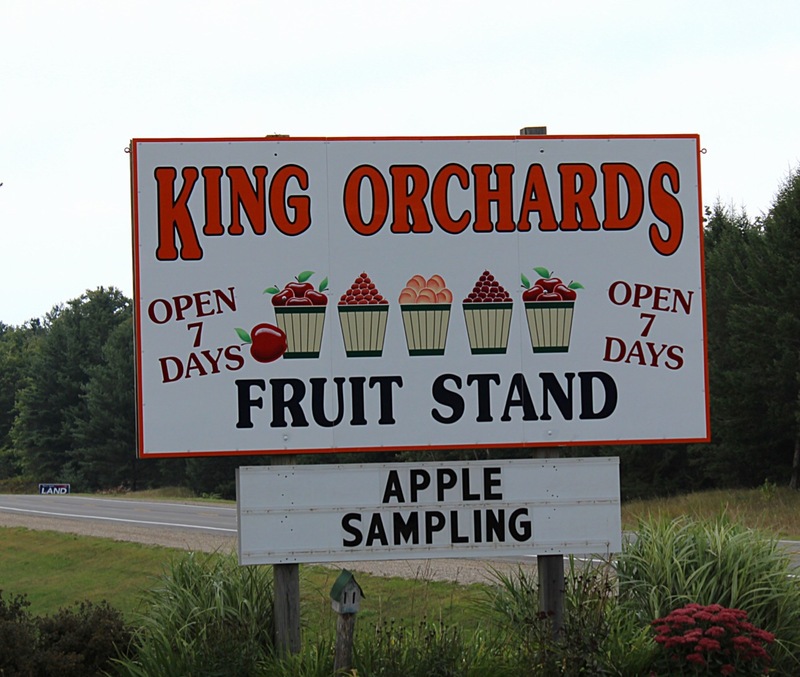 We had a great time at the Apple Orchard and hightailing it through the country side looking for a blue house, a dirt road, a sign and another blue house! 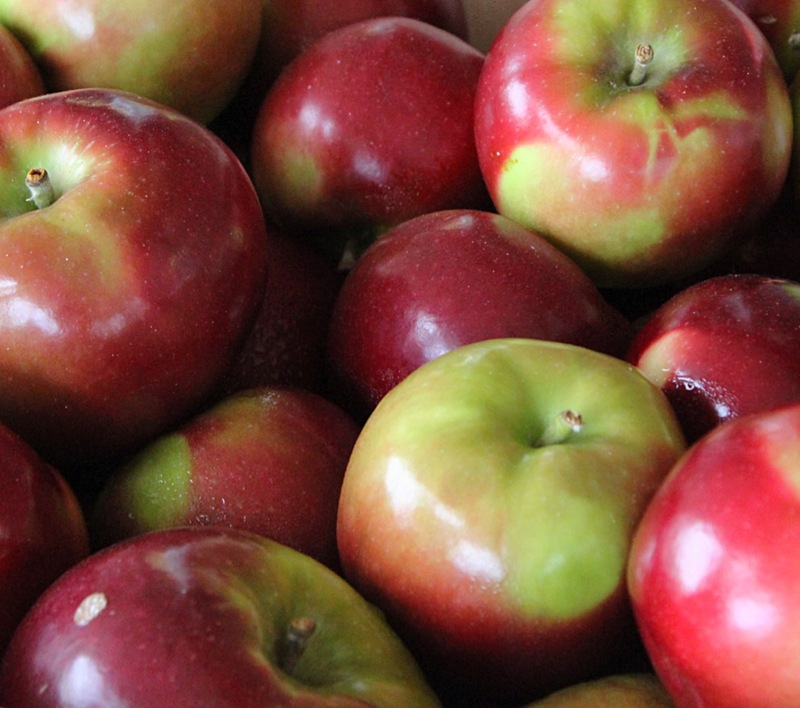 are Cherry Trees, by the Cairn, not apple trees. Just thought you should know.